We're looking for quality photos of your Glen-L boat for our 2019 magazine ads (WoodenBoat, Small Boats, etc). They need to be large and at least 300 dpi. In the water photos are highly preferred. 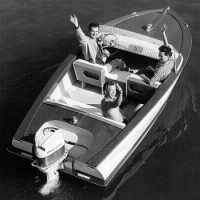 We would love to feature your boat! I don't have any new pictures. But, all old pictures are certainly fair game. Yes, Jimmy--that will do! Beautiful Squirt and I love the name. Thank you. My boat is still in the water, and I can try to get more if you want more choices. Sorry, too humbled by all the other beautiful boats built by more capable shipwrights than me to display my amateur builds. You are welcome to use anything out there regarding the Torpedo, Super Spartan, or Zip. Jimmy, if you have any shots of the boat in action, that would be great. Matt B--I don't know what you're talking about as I've seen your Squirt and a photo of your Malahini and they are beautiful. I'm sure I can find something, Roberta Yes, we all need a smarty pants Dan...da man! Would you want something like this ? Sort of like that Christmas card picture. You may not need too many Squirt pictures, though. There is one I really like from G4 2010. It's my Tahoe running, with Denzil and Vida in the back. But, I can't find it. Ray M. may have it. He made our name badges from it. I am just getting ready to have my knee replaced, I figured building a boat while I am recovering will be a great way to keep me sane. they are telling me it will be 6 months min before I can get back to work. so I figure after a month or so I should be able to start work on it.